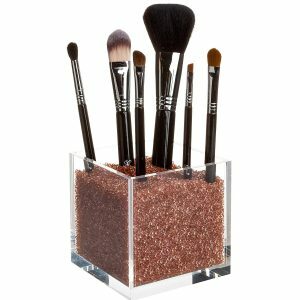 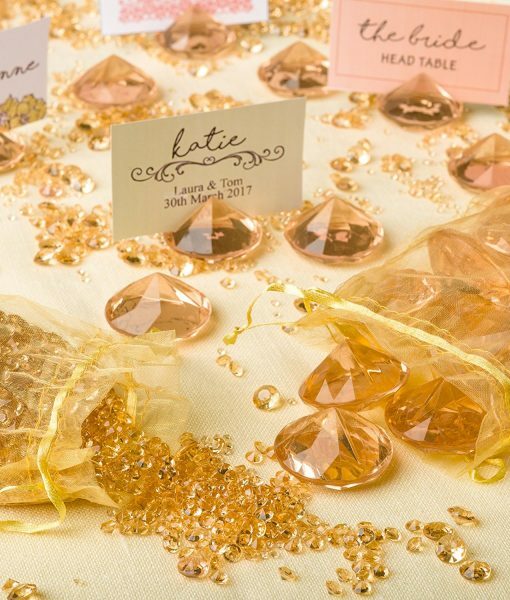 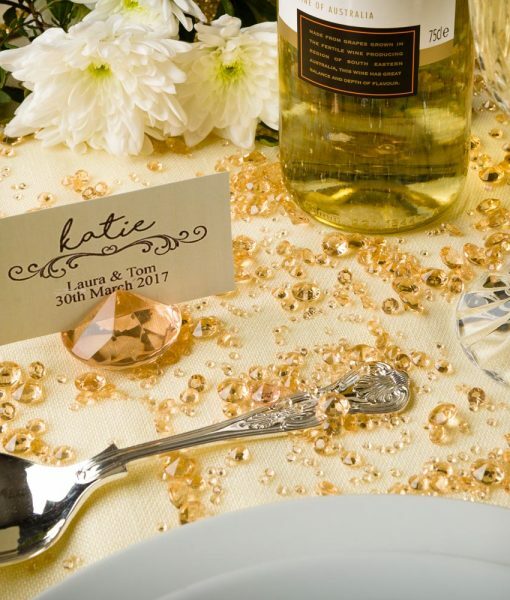 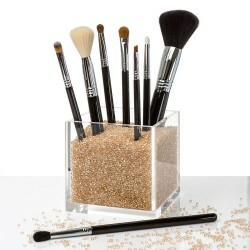 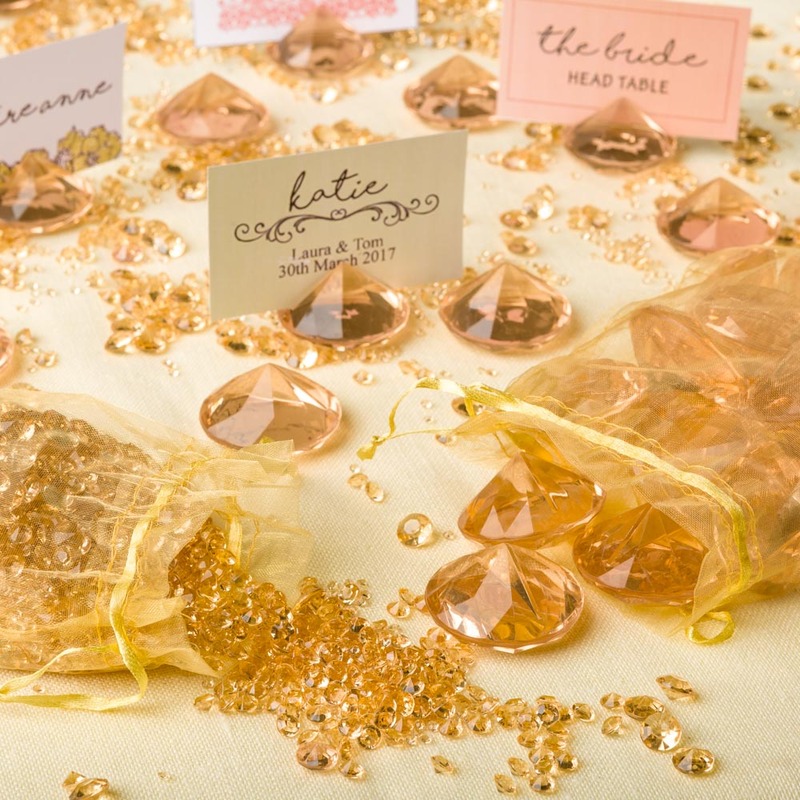 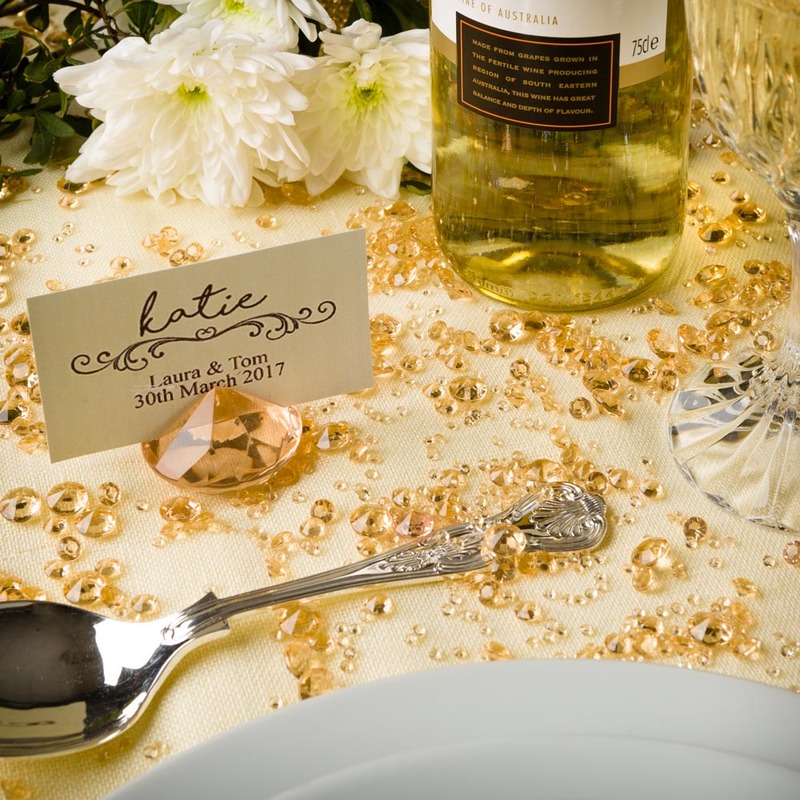 Diamond Place Card Holder & Diamond Table Confetti Set (GOLD) - Pretty Display: Making Your Space Beautiful! 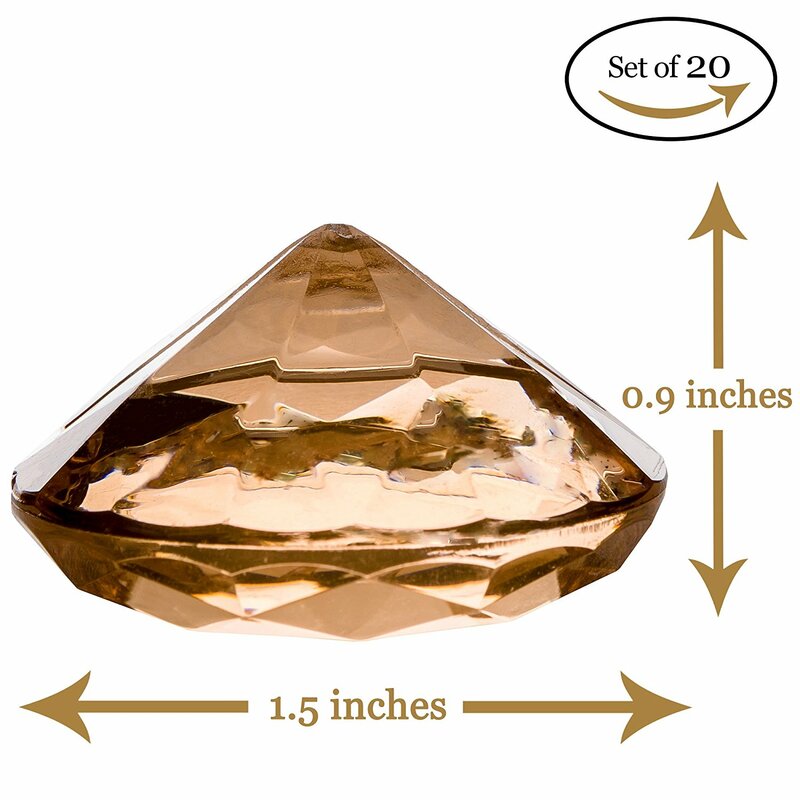 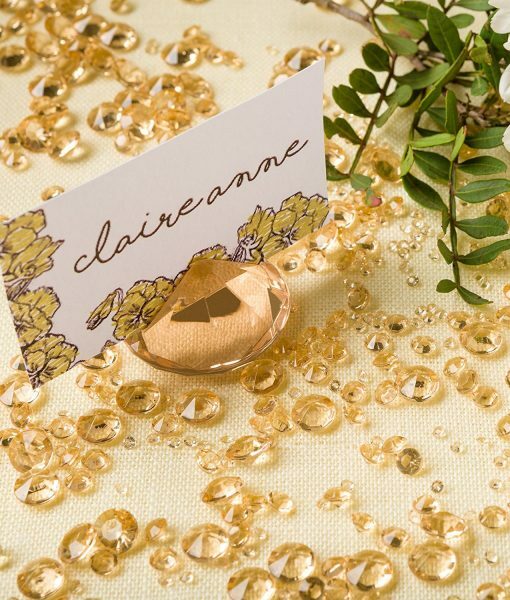 Includes 20 GoldAcrylic Diamond Name Card Holders, Size 1.5 inches in diameter and 0.9 inches high. 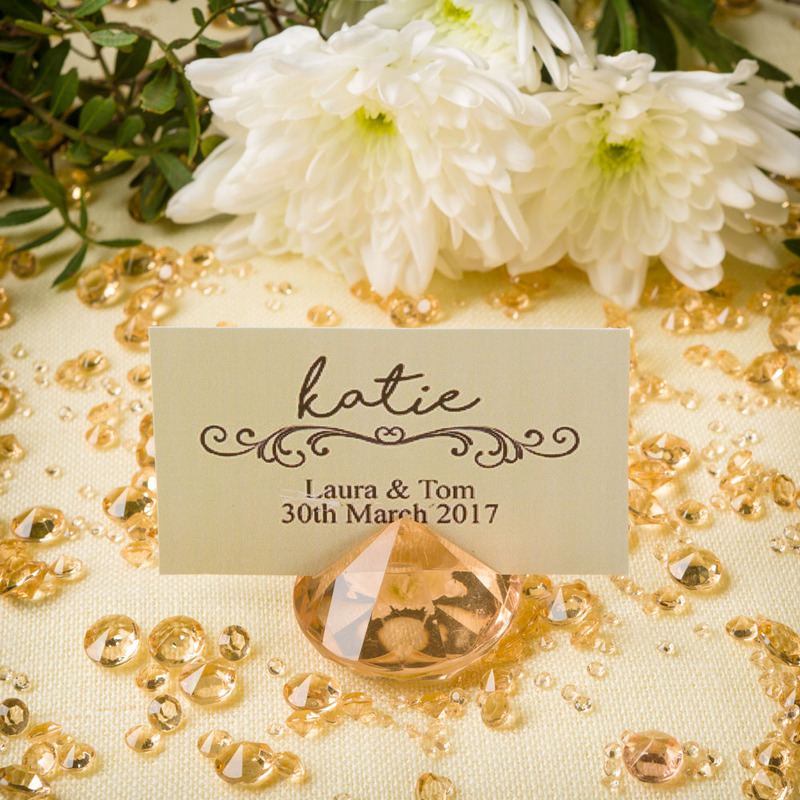 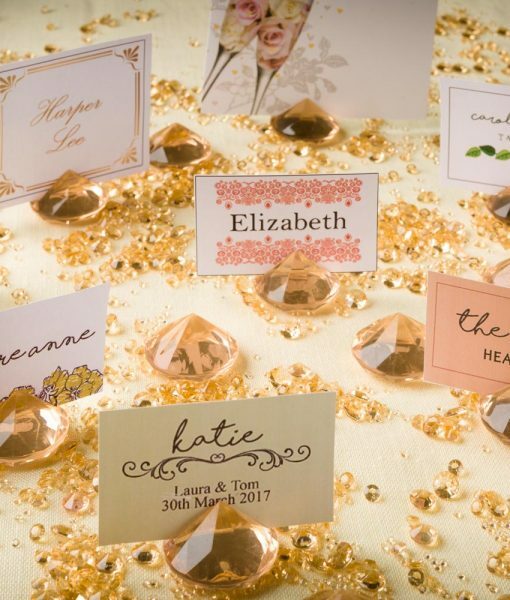 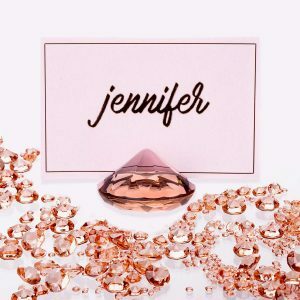 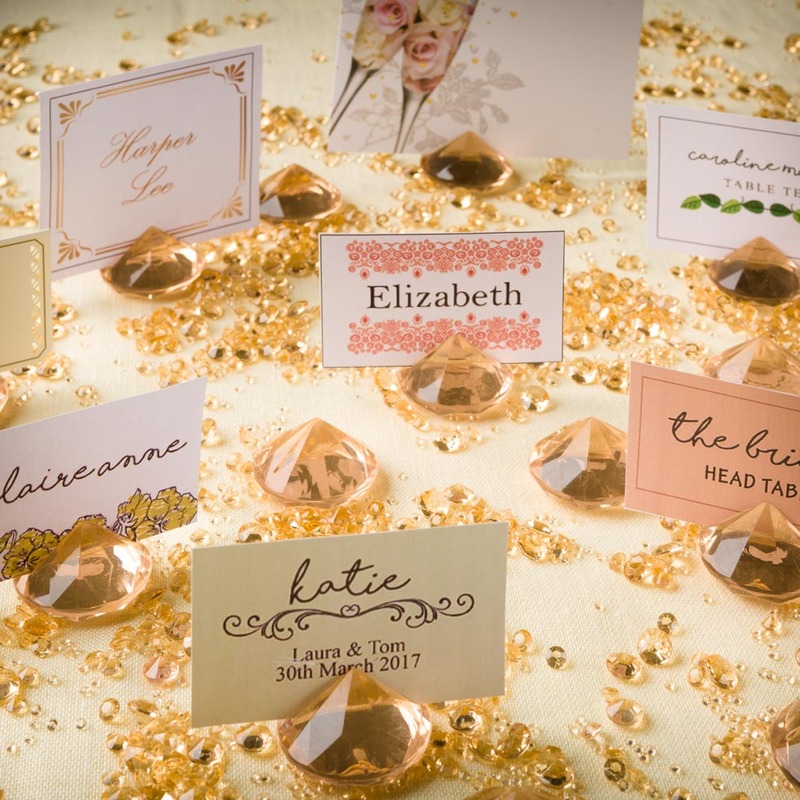 Each Gold Acrylic Diamond Name Card Holders had a half inch slot at the top to insert the name cards, and can fit standard card up to 1mm thick. 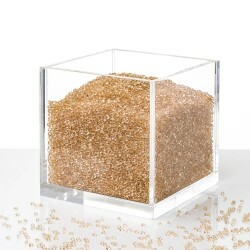 A mixture of over 6,000 Gold Acrylic Scatter Diamonds in a selection of 3mm, 6mm and 10mm sizes. 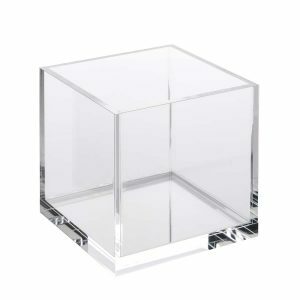 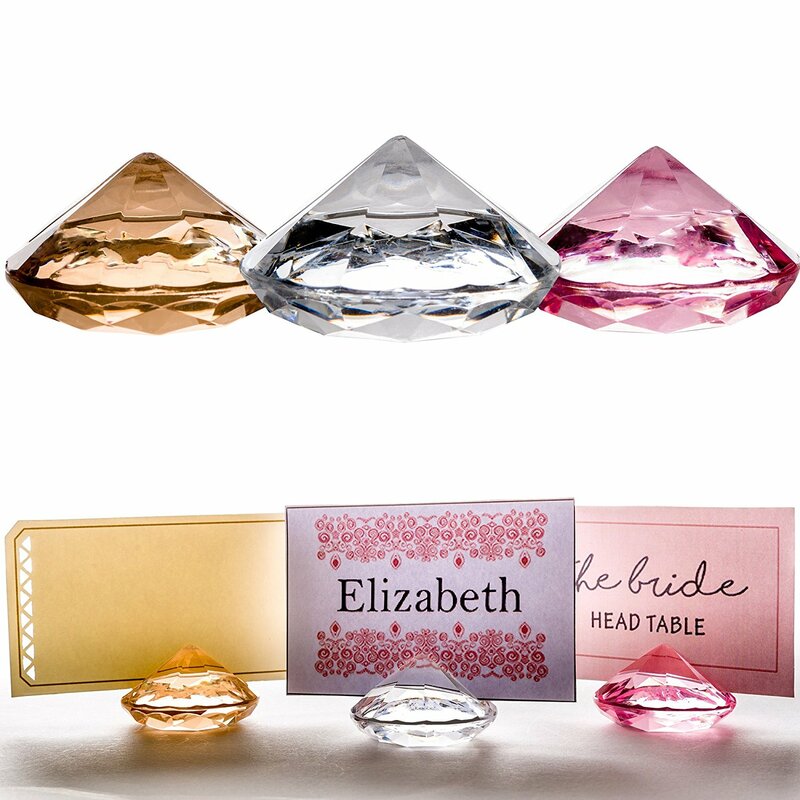 In each Table Decorations Set you will find lovely ultra-clear place name card holders and plenty of matching acrylic diamonds to help bring your ideas of elegant table designs and displays to life. 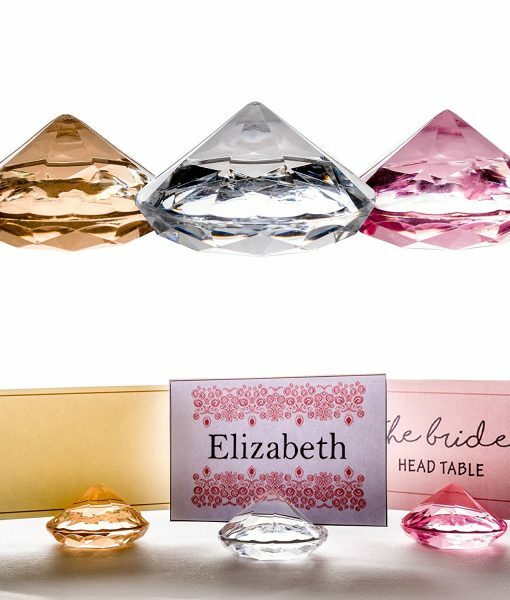 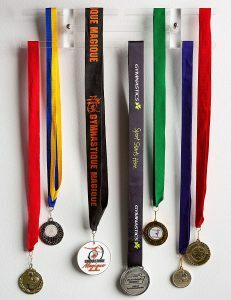 Available in colors, Clear, Pink and Gold. 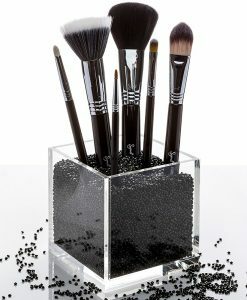 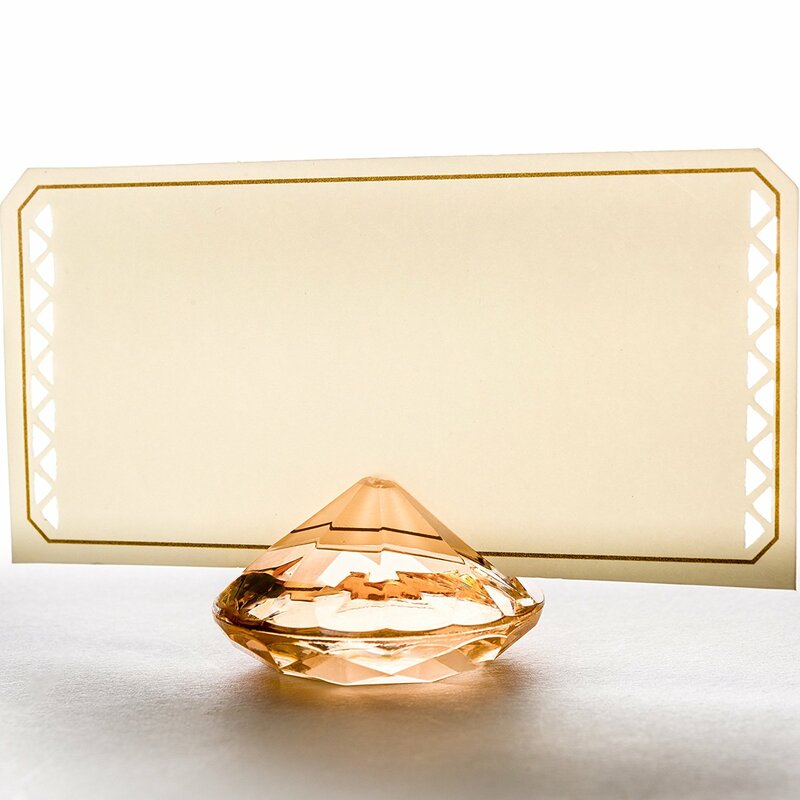 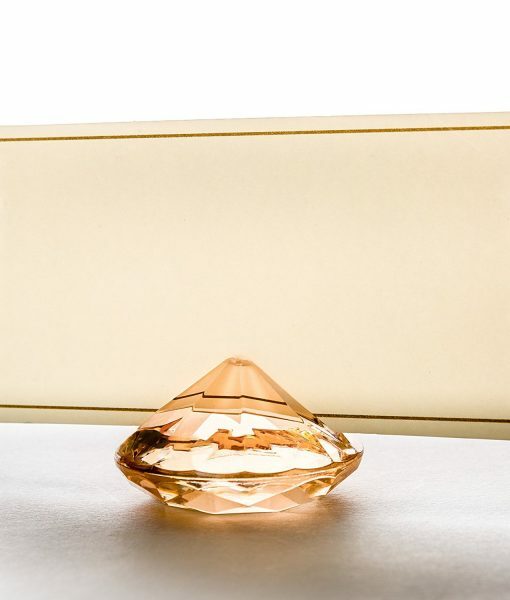 The GOLD DIAMOND NAME CARD HOLDERS and THE GOLD SCATTER DIAMONDS IN THIS SET are made from ultra clear acrylic for maximum clarity, which looks very stylish and classy. 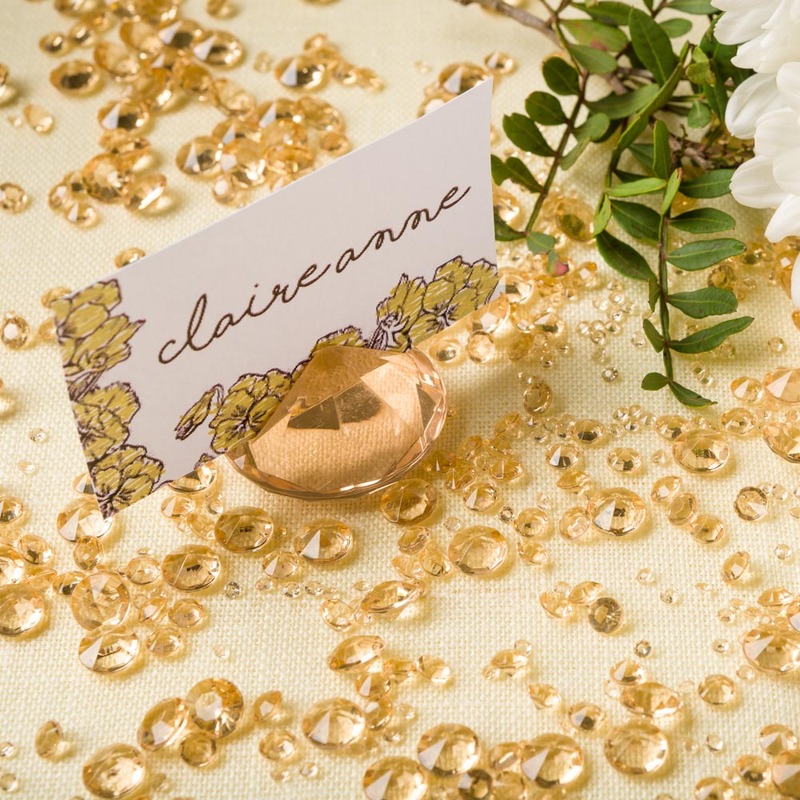 – 20 Gold Acrylic Diamond Name Card Holders, Size 1.5 inches in diameter and 0.9 inches high. 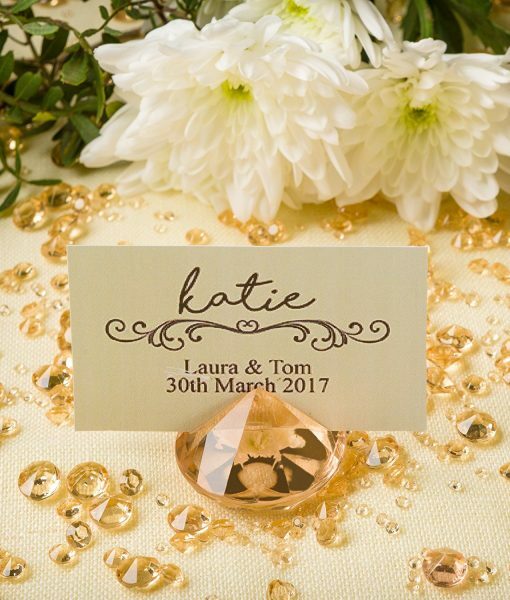 Each diamond had a half inch slot at the top to insert the name cards, and can fit standard card up to 1mm thick. 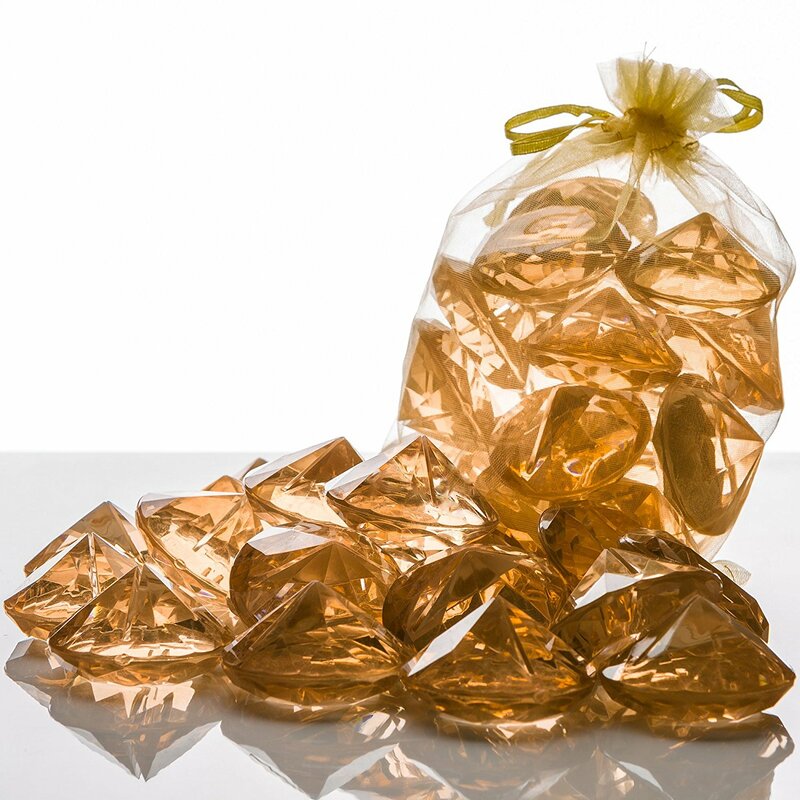 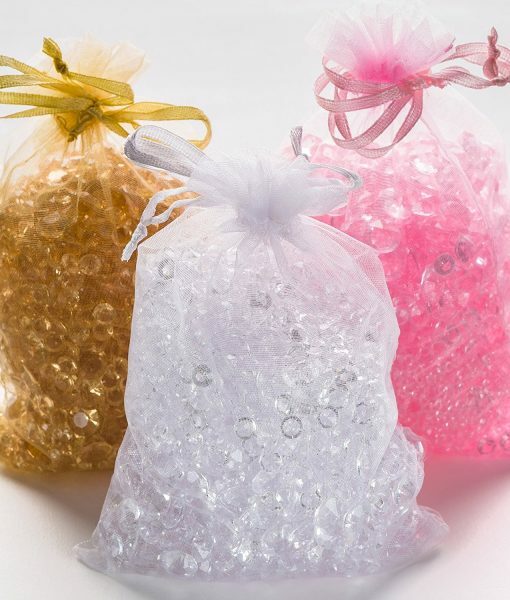 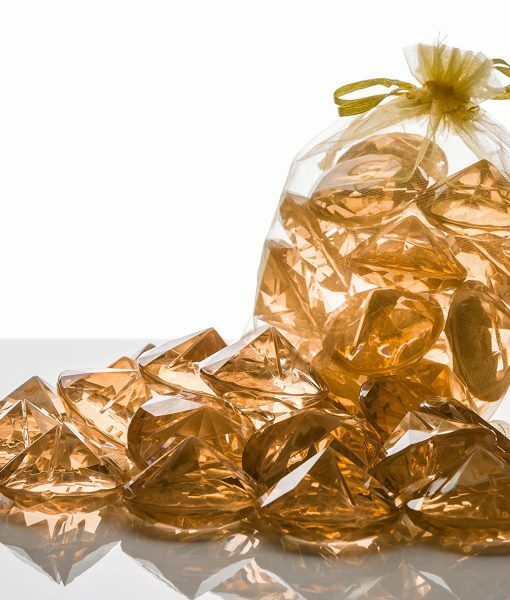 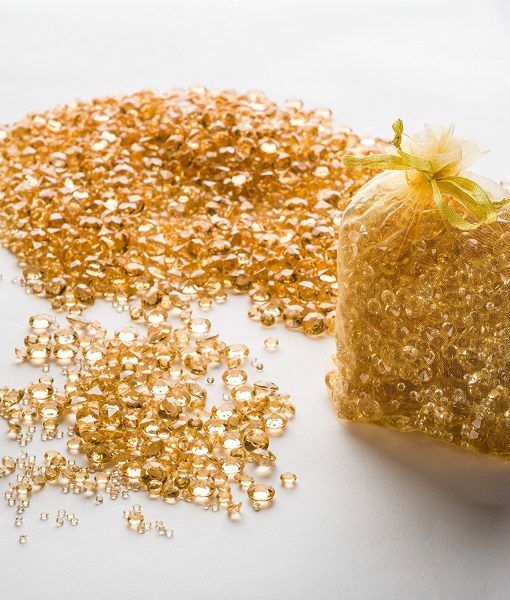 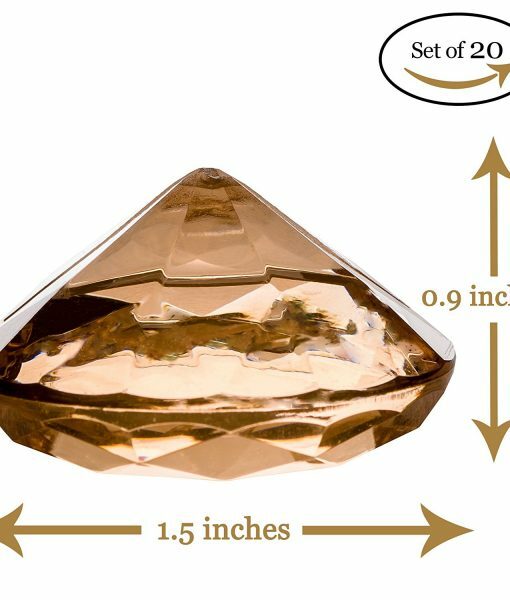 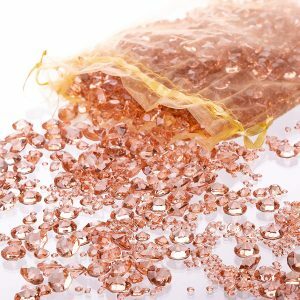 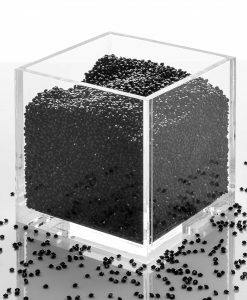 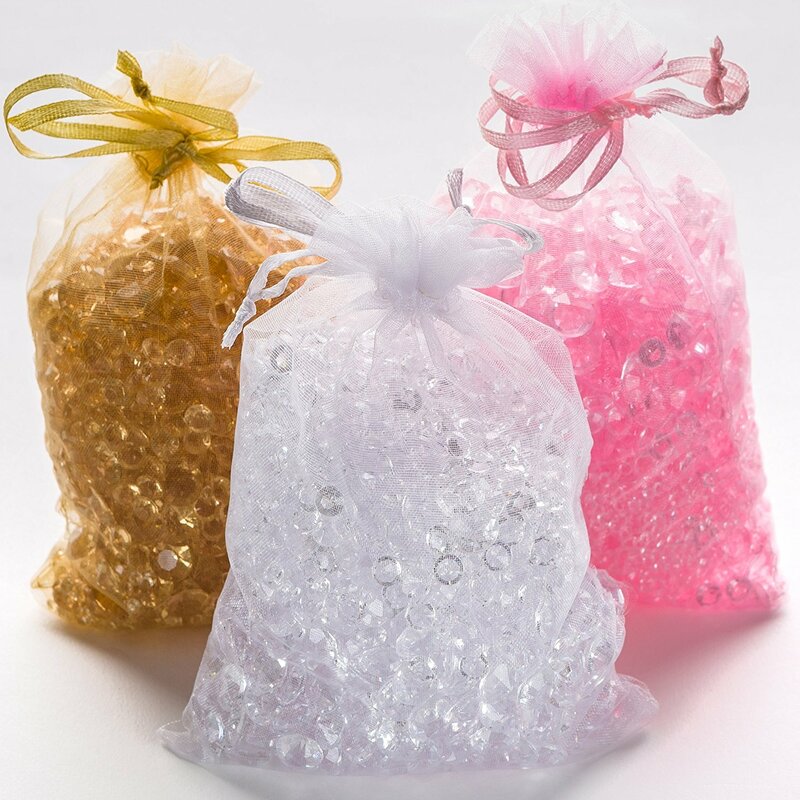 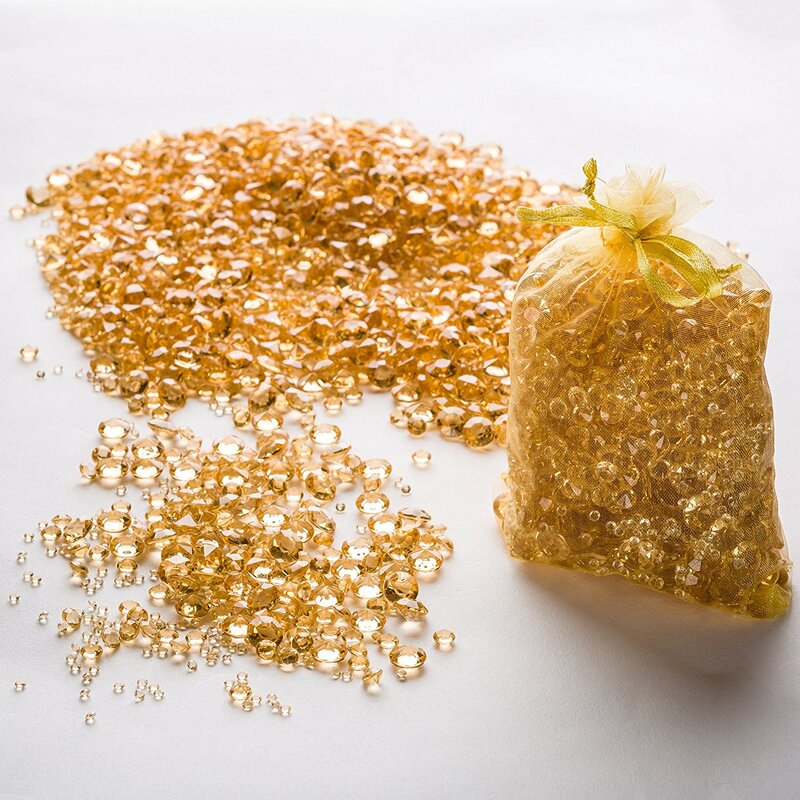 – A mixture of over 6,000 Gold Acrylic Scatter Diamonds in a selection of 3mm, 6mm and 10mm sizes.